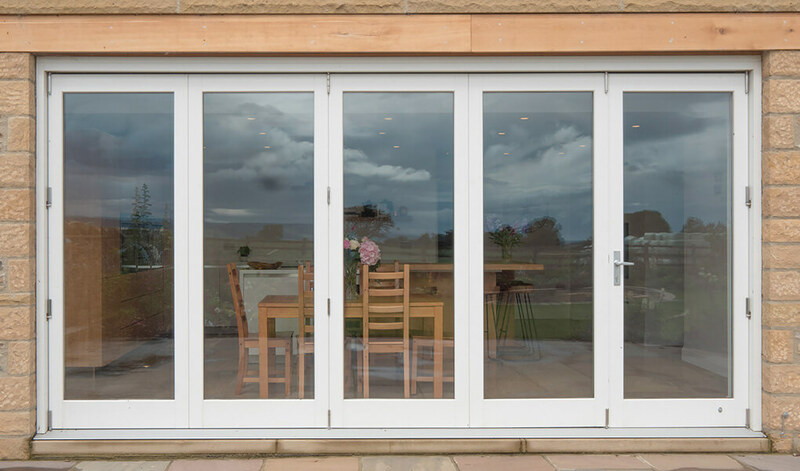 Featuring a unique opening mechanism which allows a number of doors to be stacked on top of one another, timber bifold doors allow you to create a supremely wide opening. The ultimate in modern engineering, they’ll flood your home in light and, when opened, with air too. 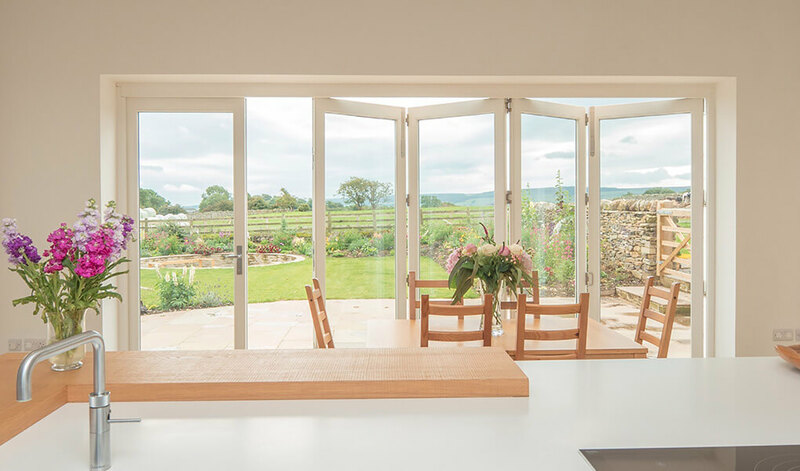 T&K’s timber bi-fold doors can be fitted in incredibly wide apertures, creating a wall of light effect. 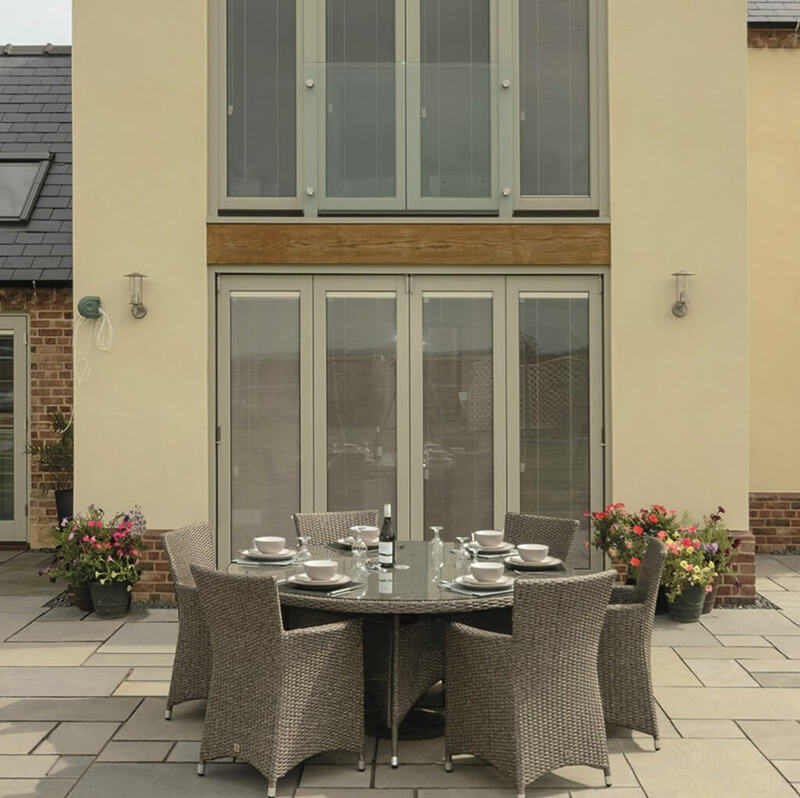 And for when you want to let the air in as well, a low resistance sliding mechanism is in place, ensuring you can open your home up to your garden with total ease. Benefitting from the natural insulation qualities of timber and energy efficient glazing, a set of timber bi-folds, supplied by George Barnsdale, will keep your home at a comfortable temperature throughout the year. Beautifully slender framing ensures your home will look stunning during that time too. Able to achieve U-values of 0.9 W/m2k, our timber bi-folding doors are extremely energy efficient. Our timber bi-folds are fitted with ultra-resilient weatherseals on the door leaves and within the track, ensuring your home is totally weatherproof. T&K offers a range of glazing options, so our timber bi-folding doors are suitable for any purpose. Choices include security laminated glass, to ensure for optimal levels of security, and solar reduction glass, which helps reduce heat build-up caused by continual sun exposure. Utilising expert craftsmanship that has been continuously refined for over a century, the quality of wooden framing used on our timber bi-folds is truly astounding. However, T&K supplies them with uPVC and aluminium framing too. Choose from a number of handles, which are available in a number of high quality finishes. Finishes include Gold, Satin Chrome, White and Polished Brass. Regardless of which you choose, the quality of finish is nothing short of exquisite.